Our auditors are very knowledgeable in their fields whether general insurance, consumer credit, investment management or emerging sectors such as fintech. We take a practical and collaborative approach and see audits as a springboard for improvement rather than an end in themselves. Our reports include recommendations for action and use a RAG rating system for clarity. Get in touch. We are able to provide access to certain insurer and premium finance agencies for general insurance and consumer credit broking at special terms. 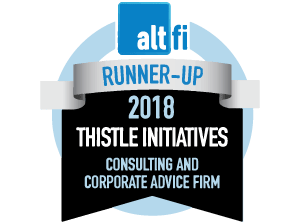 The insurer and lender with whom we deal value the fact that businesses which use Thistle for their compliance support are showing a commitment to meeting regulatory standards and because of this commitment they are prepared to offer special arrangements. Click here for more details. Year after year our general insurance and consumer credit workshops achieve CII accreditation – meaning that attending one of these twice yearly workshops at any of 10 locations across the UK delivers you valuable learning and contributes towards CPD. Click here to see when the next workshop is in your area. Sometimes a second opinion or an independent view can help resolve complex situations. Our knowledgeable consultants offer practical, impartial advice and guidance. From time on site looking at specific issues such as financial crime to a quick call about completing your RMAR, our constancy service flexes to meet our clients’ needs. Get in touch. Firms submit key documents for us to check and we provide feedback specific to their particular business and circumstances. This service covers letterheads, email footers and Terms of Business – the latter is probably one of the documents we are most often asked to review. We can also look at policies and procedures where an independent and expert review can be very useful assurance that controls meet regulatory expectations. Get in touch. For firms on the acquisition trail we provide a due diligence service, giving an independent assessment of a prospect’s compliance health. It is only prudent to ensure that, as an acquirer, you are fully aware of any regulatory risks and able to take a considered and balanced view of the business opportunity. Equally, we will conduct a pre-sale due diligence exercise for firms considering selling, where they wish to ensure that their compliance arrangements present no risks which might undermine the value of the business. Get in touch. In our consultancy teams we have subject-specific experts who provide user-friendly assistance with more complex technical queries such as capital adequacy, FCA accounting, permissions etc. We have built up a collective reservoir of knowledge which allows us to advise on the thorniest of regulatory issues. Get in touch. Without rigorous quality assurance a firm will cannot judge the effectiveness of its compliance framework, meaning neither the Board nor senior management has sufficient oversight. We provide both file review and call monitoring QA either as a first line of defence where firms outsource for an expert, independent view, or as a third line of defence to ‘check the checker’ and provide reassurance that internal controls work as intended. Get in touch. Your financial promotions (especially social media) and website are the public face of your business. As well as your customers they’re visible to the Regulator so it’s essential you ensure they’re compliant – our comprehensive review service can help you ensure just that. Get in touch. We act as locum/outsourced compliance officers for firms in a number of circumstances, for example where a short-term solution is required to cover extended sickness, maternity or while a vacancy is being filled. We also act as an expert embedded compliance resource where a business needs additional support perhaps during periods of growth or transition, or where regulatory changes have significant impacts on the firm. Get in touch. How you use Thistle services and expertise is up to you. We work with most firms for the long term, providing a suite of ongoing services from workshops to audits. However, we also undertake one-off projects where firms need an injection of resources, often for a specific reason. Typically, project work can range from addressing Section 166 weaknesses, setting up a compliance framework for a new venture or supporting a business with significant regulatory changes such as GDPR or the Senior Managers Regime. Get in touch. A comprehensive online tool packed with regulatory bulletins, advice and guidance and supported by a library of sample documents and templates to provide you with the building blocks for your compliance infrastructure. Get in touch. Cyber crime is on the increase and we are all vulnerable. Our penetration testing services will identify the weaknesses criminals would exploit to access your systems and copy or lock down your data and files. Once identified, we will help you plug the gaps and reduce the risk of a cyber incident by up to 90%. It is important to keep up to date with the latest fixes and software upgrades to prevent cyber crime. The FCA recommends conducting a penetration or vulnerability test at least every 12 months. Get in touch. We filter and interpret regulatory communications from the FCA and other relevant bodies, such as the Information Commissioner’s Office (ICO), and send updates to firms on matters which will impact their business. We review publications, such as FCA Consultation Papers and Policy Statements, and provide summaries and context as well as advising firms on the business impacts and signposting any actions required. Get in touch. Pick up the phone and talk to one of our skilled technical team; not only are they highly experienced in FCA regulation but you’ll find their aim is to offer practical help and solutions and to actually explain and interpret regulations rather than simply repeat a rule. Get in touch. Over the years we’ve developed a suite of templates and sample documents from insurance broking terms of business to IFA financial crime policies and procedures. We add material and review documents frequently to ensure they remain up to date. It’s a valuable resource for any regulatory business. Get in touch. As well as our CII accredited workshops we create and deliver bespoke training material tailored to our audiences including scenarios and case studies. We also draft online eLearning and assessment question sets and provide clients with generic training material covering key areas of regulation such as introductory modules for new starters. Get in touch.